Find info about electronics prices, discounts, top deals in link, like US below. Actually I just wanted to give you a little tutorial or how to install android sdk on your pc or laptop with ubuntu os, but the same might as well install android sdk emulator on your computer or laptop pc with windows os like windows xp, windows 7, or Windows 8 as do almost the same and little disparate. In android sdk we can use whatsapp application or WeChat on a computer with the help of this emulator android sdk installation, and if your computer is connected to the Internet then the android sdk emulator has been able to connect to the internet without any setting. 1. Install Java or OpenJDK on your ubuntu. 2. Download the Android SDK emulator here. 3. Extract the Android SDK has been downloaded into documents or anywhere up as needed :). 4. Open terminal by pressing CTRL + ALT + T or click Applications -> Accessories -> Terminal. Typing sudo su and enter your password. - Open a terminal its way as the No. 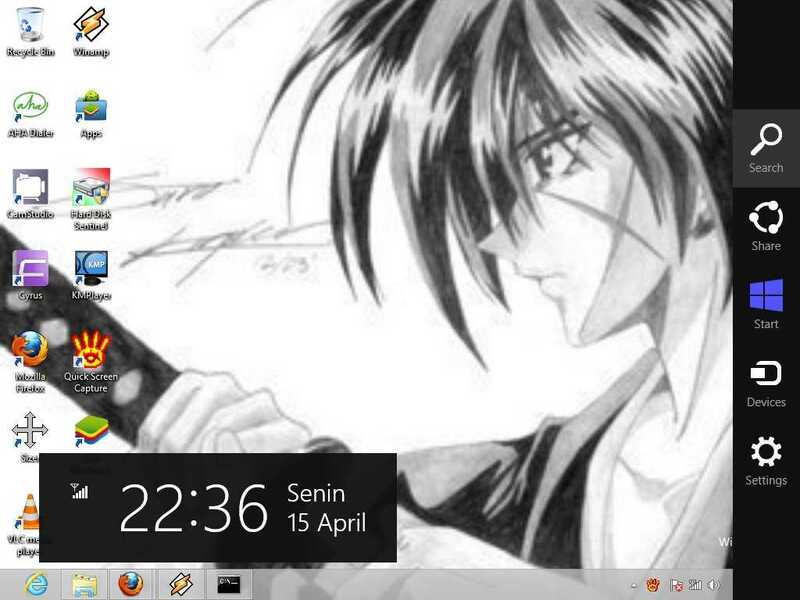 4 typing "gedit ~ /. Bashrc" without the quotes and enter the text below at the very top and then save. note:the name of the red "/ home /??? 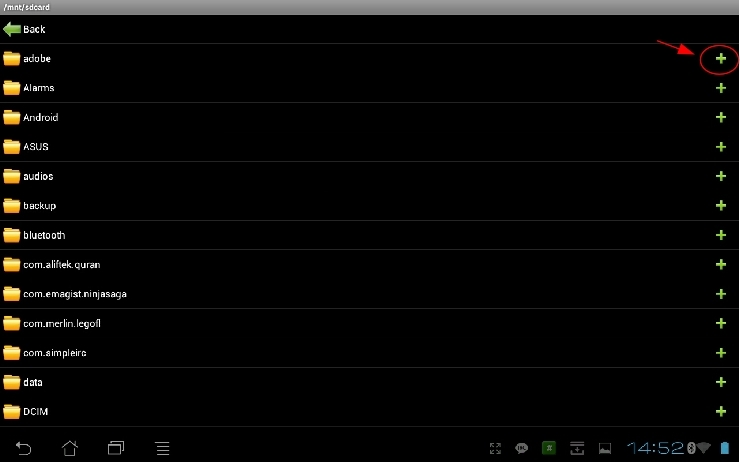 / Documents / android-sdk-linux / tools" and that the second is the folder where I store the android sdk. Adjust to the folder where you saved.- Still diteminal the following command "gedit / etc/udev/rules.d/51-android.rules" without quotes and input the text below ". To install the android sdk at the root can be viewed of the source ubuntu comunity here. Then save and reboot or restart your laptop or computer. So that when you open the android sdk does not necessarily have to enter the android sdk folder on terminal. simply by opening a terminal and sudo password and then android sdk android in laptop or pc you'll leave. 6. Open a terminal and typing sudo ubuntu android then enter your password. 7. 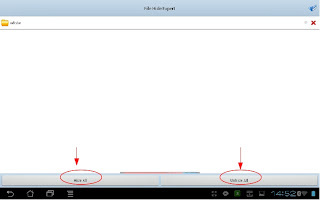 After the android SDK emulator appears and then select the check tools and android files that get installed like in the picture below. In the picture above I did install android 4.2 version and you can choose the version that will be installed android as android ICS, android honeycomb etc as you wish. At the bottom of the Extras folder with writing a check Android support libraries, Google play service, Google usb driver and so adjust it with the needs. 8. Click the install packages and licenses accept check, wait a while until installation is complete. 9. After install android sdk on PC or laptop is complete then click the Tools button located at the top left after the packages. 10. After the new window appears select the window or click the Manage button AVDS ... and click the New button on the right existing, well here you can choose your favorite android version there is a 10 inch size to a small size, select the size of the 7-inch or 5 inch that if the computer or laptop has a less specs computer so you are not too hang up or heavy and lag. 11. A new window will appear when the button is clicked and a new Insert your name free android for example name is androidku, android select your choice according to size preference. If you want to change the size of the internal memory replace it from 200 to 512 for example, and the contents of sd card to 1024 = 1GB and click OK.
12. 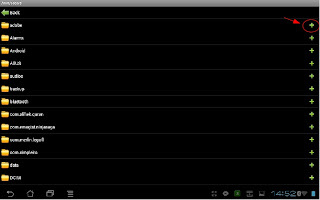 If it is then in view avd there will be a new menu that has been created is androidku. Click start to open its android os android will appear according to your choice. * To install the Android SDK on windows is the same way. 1. Download and Install the java application here. 2. Android Download for windows here. 3. Install android sdk on windows and if it is open android sdk installed and did his manner as above at the start of No. 7. Computer or laptop which already windows installed either windows xp, windows 7 or windows 8, perhaps we do not know which version of Windows that is used on our pc. There are many versions of windows like windows xp service pack 1, windows xp sp2 and also on windows xp sp3 there are several other versions as windows xp for gaming, windows xp media center, windows xp home edition, or windows with x32 or x64 bit etc.. If I could mention one by one until dawn :). 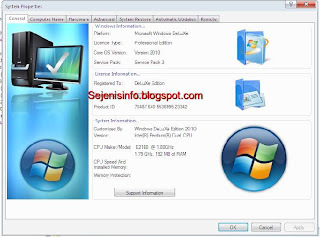 Our PC has installed the windows being installed by others of course we do not know the most likely version is used, the following well below I will give a little info about how to know which version of Windows that is used in your computer or laptop. In windows to know which version of Windows that is used almost same way, but not nearly but thats same way. 1. If its on the desktop or on the main screen there is icon my computer, just right click mouse on my computer icon and click properties that its. 2. 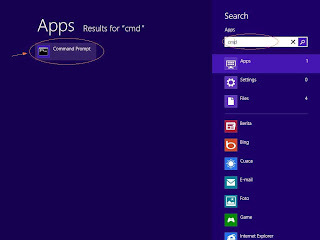 If the My Computer icon on the main screen or on the desktop it does not exist then the way we use open windows explorer then right click the mouse and then click properties. Display system properties windows xp deluxe version. - Click start and click run. - Typing "dxdiag" without quotes, then enter will be out the display as shown below. For his appearance may vary slightly depending on the theme used. 2. Right click mouse button and select Properties. 1. Move the mouse to the right monitor, will be out a menu. 2. Select the top menu the search menu and typing cmd. If you want to open cmd as adminitrator just right click your on cmd icon and see on your screen below that will appear the options. There are some important files and folders in a gadget like android, laptops and mobile phones as well as several other gadgets, allowing others to access the confidential files or files that others should not know it could be used either intentionally or unintentionally. What more if we use android which is often used by others as a friend, brother, sister and others. For that we need to hide files and folders is as safe as possible so that important files such as music, song, video, and files and folders will be maintained and can not be found by others. So the question now is, how to hide files in android?, Now it is in fact not a difficult thing to do because in google play alone there are some android apps to hide video files, songs and other files easily. 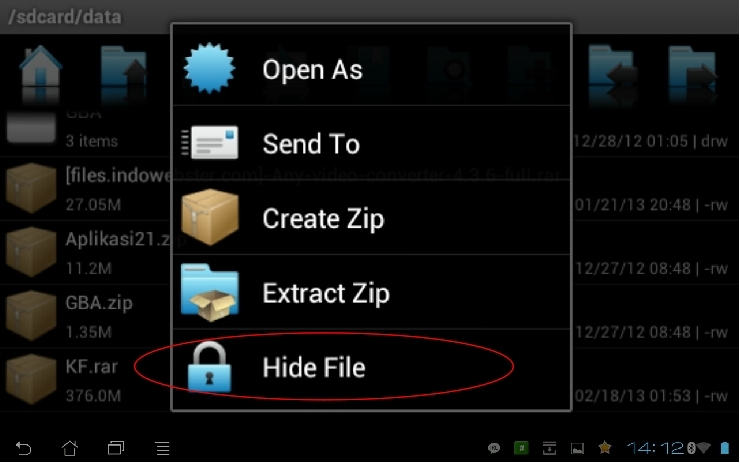 My choice to hide files application in android are two android applications use very easy and also free to be downloaded Adao file manager and File hide expert. 1. 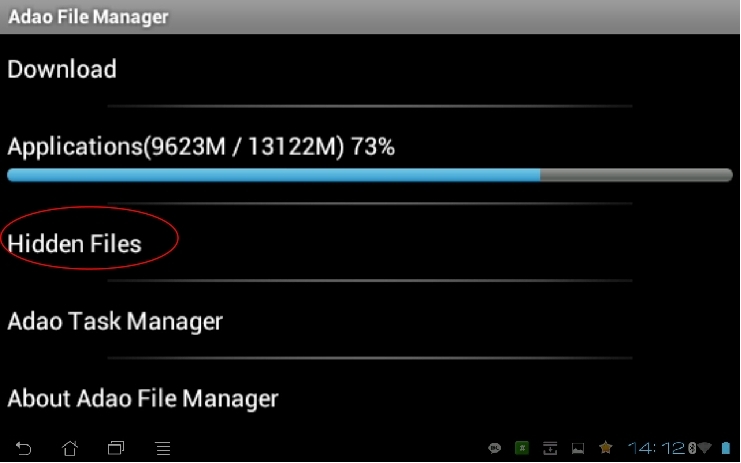 Download and install Adao file manager. But this apk on google play is not available, can be found in several forums and others. 2. Besides could to hide file and foler in android, Adao file manager also can be used for the file manager as a tool to open the folder, data on android, if in windows, Adao file manager similar to Windows Explorer. Back up the application, task manager etc..
3. 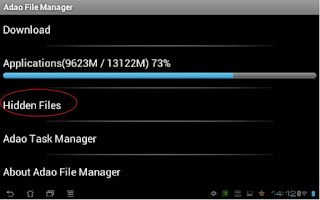 After installed, open Adao file manager application, select the SD card and select the data or files will be hidden by tapping the file until it comes out and sliding up the options menu so that the menu option Hide files visible. File hide option menu picture is at the bottom. 4. After the file menu Hide seen just click the options menu and any files that will be hidden will disappear from menu. 5. To restore files that have been hidden, Close Adao file manager or back by clicking the back button so Adao file manager located in the main menu. There are several menu options upward shift so posts will be hidden files visible. Click the Hidden files or writing for the first time we are given to create your own password, enter the password that will be made, after the password is created and has been entered into the Hidden files and files that are hidden will be there, click on the file to be restored to the original place of a single click or click longer. 1. Download and install File Hide expert here. 2. Once installed open the app and to hide files such as video, song or music, pictures and also click the folder or picture folders that reside on the top right. 3. 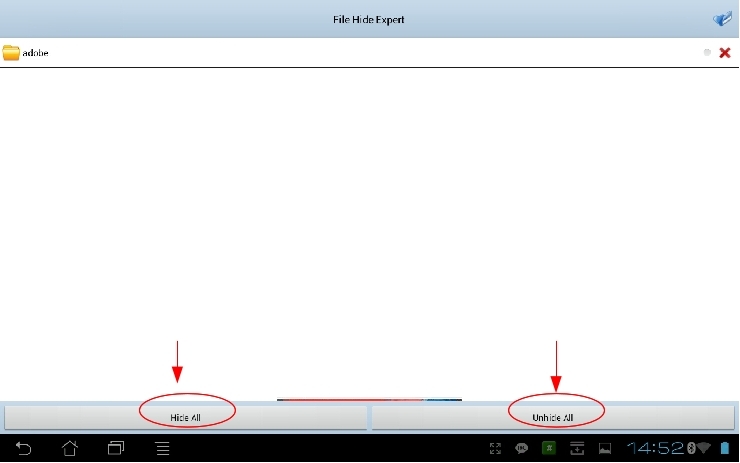 Select the folder or file that will be hidden by clicking the plus button on the right. 4. Once files or folders are on the menu hide, click the hide button to hide all files or folders, these are available at the bottom left. 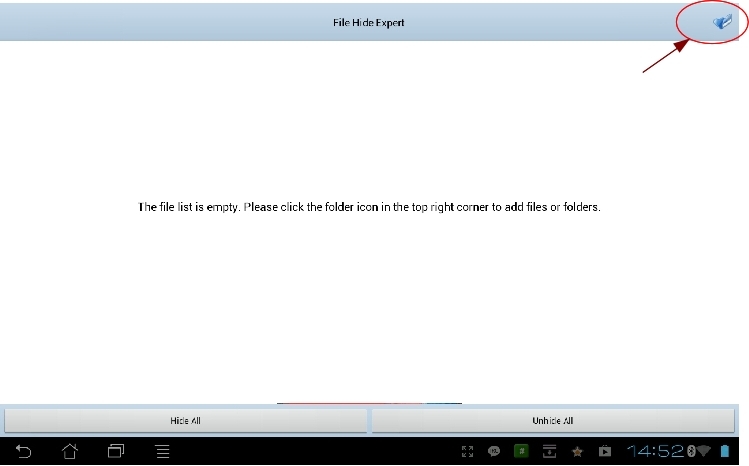 And to restore the files and folders in hide just click the unhide all button or click the x button. Starting from the question in accusing me of someone who has the android phone "How do I capture picture on android?" Then I told screenshots android app? that same question with differend woords :) its kind that is a question when it was still new on using that android and not yet one week using android phone, in fact initially I also do not know how do it! :). But since the Internet is now easier then I was open an internet in my room and searching in google, there are many applications that are in the google search, there could be no need to use the application and without root and there is also to make screen shot or screen capture applications need application and root. It still depends on the choice of you which is the best to use. Also happened to be at that time I found a blog that I forgot to mention that blog and I'm sorry for him to posting back taht knowledge in my blog, way without the screenshot application on android i use samsung galaxy young. Ow much of a coincidence, is not really a coincidence everything is set up. The first I gave a screen capture images in a way that no android apps. * How to Screenshot image without android application and without root on samsung galaxy Y GT S5360. 1. Take your phone and turn on:). 2. Screen is ready to be shot and then press a button on the center continues to press the back button on the the right once, the last push button on / of phone one and the picture will be soon in capture or in print to the screenshots folder. 3. To know the results open the gallery and see the screenshots folder there are the results. There are some screen shots android apk free or paid which are in google play we can choose according to our choice and according to your needs. 2. Ultimate screenshots made ​​by Ice Cold Apps. Screen capture apps for android that there are two options one could with root and does not require root. 3. Screenshot by Kastor Soft, after I try and I read before installing android on phone we've had rooted. Though we can save the results of his capture to image JPG, BITMAP or PNG. 4. Screenshot Free By Wise Shark Software, this one I have not tried. Try to edit and make a different and you must link back to this blog is licensed under a Creative Commons Attribution 3.0 Unported License. Based on a work at http://new-ones.blogspot.com.